Bake your scallops in the shell for an easy finger food. 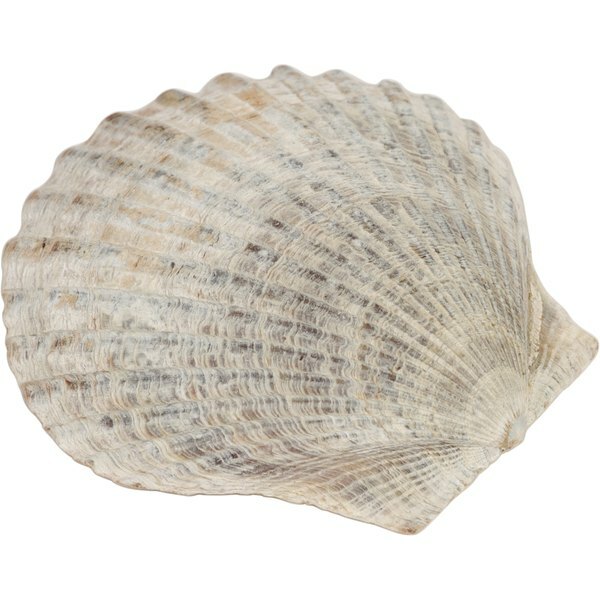 Scallops are a type of bivalve mollusk that, when cooked correctly, have juicy and slightly sweet flesh. Leaving your scallops in the shell to cook saves you preparation time and gives you a built-in serving dish. When purchasing your scallops, look for a juicy white flesh without any dry or dark spots. 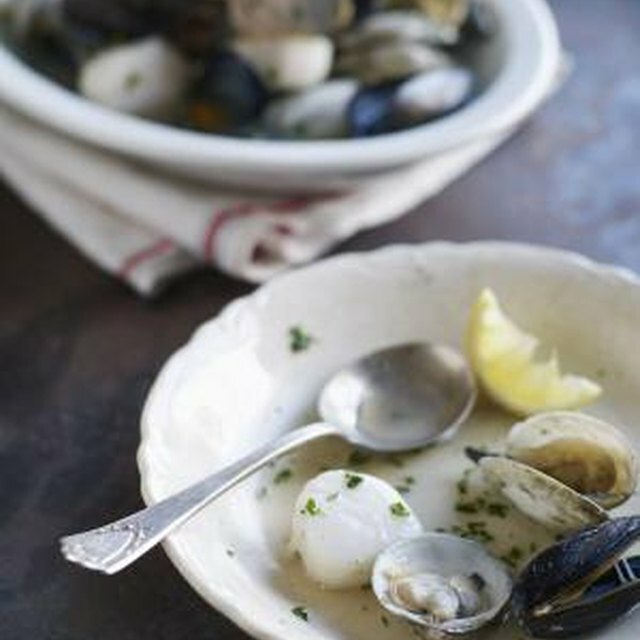 The scallops should have a briny odor without smelling overly fishy. Store your scallops in the coldest part of your refrigerator until you're ready to prepare them. Remove your scallops from the refrigerator, but keep the package on ice to help the mollusks open up. Grab a scallop with the dark side up and the hinge facing away from you. Insert a small knife between the the shells on the right side and cut away the muscle holding them together. Twist off the top shell and discard it. Place the edge of a spoon on the top of the scallop at the hinge. Gently scrape the spoon across the surface of the scallop from the hinge to the front to remove the dark innards. If you notice any grit, rinse the scallop quickly under cold water, and pat the scallops dry with a paper towel to help them brown in the oven. Preheat your oven to its highest temperature setting. Arrange the scallops in their bottom shells in a single layer on a rimmed baking sheet. Season each scallop to taste with salt, pepper, garlic or your favorite herbs and spices. Top each scallop with breadcrumbs and a drizzle of olive oil for a crispy topping, or surround the scallop with your favorite crab meat stuffing recipe. Bake the scallops in the center of your oven for six to seven minutes, or until the flesh just turns opaque and any topping you used turns a golden brown. Remove the scallops from the oven and serve hot. If the raw scallops don't feel gritty or if they've been precleaned, don't rinse them, as this could wash away flavor. Eating raw or undercooked scallops can expose you to bacterial toxins that may cause food poisoning.